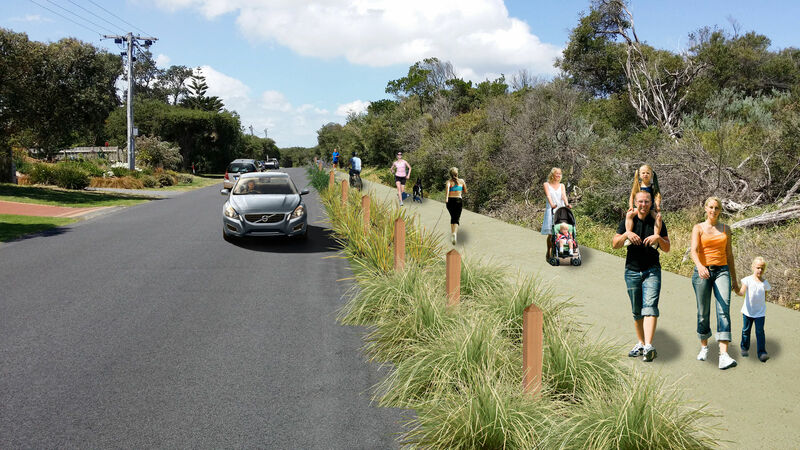 We are seeking your input to find out which option you prefer for Stage 2 of the Surf Parade Shared Path project. In response to a submission to the 2018/19 budget, we have designed a second option for the path, to include more formalised parking bays. It is anticipated funding for construction of Stage 2 of the path will be allocated in the 2019/20 budget. 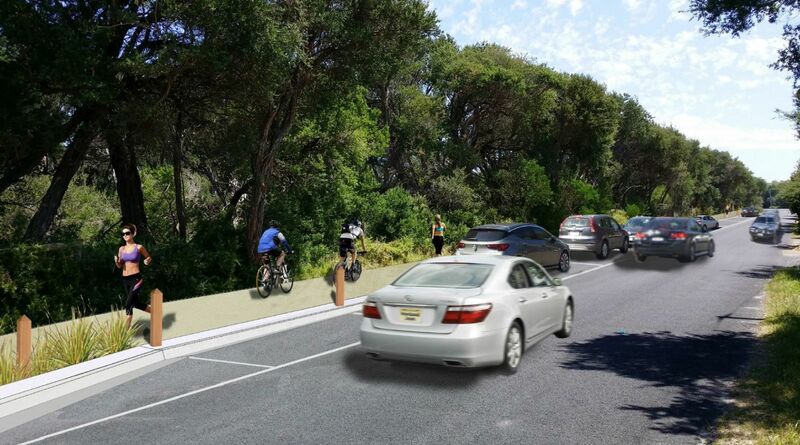 Option 1 features an extension of the shared path from Veronica Street to the Inverloch Surf Life Saving Club and 20 parallel parking bays, which is a loss of 118 bays currently available as informal parking. On top of the extension of the path, Option 2 includes the provision of 138 parking bays. Option 2 will require vegetation removal which is subject to approval from the Department of Environment Land Water and Planning (DELWP). Under this option, formalised car parking will be provided parallel with Surf Parade along the foreshore side with the shared path. Kerb and channel will act as a barrier between the parking spaces and the pathway and will minimise the required encroachment into the foreshore. We will also be holding a Facebook question and answer session with Councillors and Council Officers on Tuesday, 16 April from 6.00pm to 8.00pm. For more information on the project, contact our Infrastructure Delivery Team on 1300 BCOAST (226 278) or (03) 5671 2211.